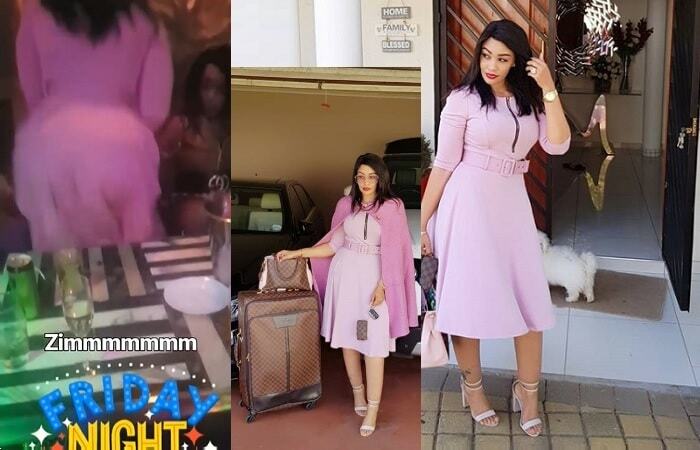 Ugandan socialite, Zari Hassan, is always on the move with her current location being Harare, Zimbabwe, where she is for business deals and later, she will be in Mozambique for the Lizha James Woman to Africa concert. "Babe, lets close deals this weekend, then later have a champagne campaign," Zari told her Zim host, Zozo, also known as the Harare queen. After her under two hour flight from Johannesburg to Harare, Zari had to explore the Harare nightlife and in the video, the mom of five is seen pulling those bottoms up dance strokes. Mr. P of the defunct P-Square has his latest club banger dubbed 'Wokie Wokie' which seems to be Zari's most liked hit at the moment and the Wokie video has those dance moves that must have inspired Zari's Friday dance strokes. Harare has been Zari's alternative hangout place every time she feels like relaxing and unwinding. It should be recalled that in November 2014, when she was done with her Harare short vacation, Zari met Diamond Platnumz on her flight back to South Africa, and for some reason, they sat next to each other which turned out to be their love portion. They became an item thereafter and during that time, she was having a bumpy ride with her ex-hubby, Don Ivan, who she accused of domestic violence, something that must have pushed Mozambican Lizha James to include her on the list of women to grace the 'Woman 2 Africa' Concert due for 30 and 31 Aug 2018. "It's Thursday and I ain't sleepy plus I heard it is someone's bday. Happy bday from me and my 4.2 clan, Me and 4.2 hold no grudge. Life's too short to stay bitter." Zari has 4.2million followers on Instagram. 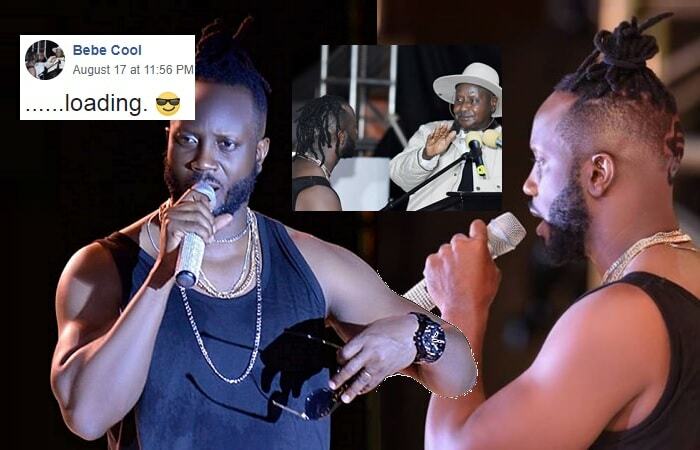 Bebe Cool calls for a presser to talk about an important campaign that touches everyone at heart, could that be the #FreeBobiWine campaign! !